Plot - A seasoned-con man’s the latest scheme rip-off his targets are jeopardized when a woman from his past – now a femme fatale – shows up unexpectedly to foil his plan. Nicky Spurgeon is a seasoned con-man who meets Jess, an inexperienced grifter who tries to con Nicky but fails. He eventually takes her up as his protégé. They eventually fall for each other, upsetting Nicky who was taught by his father to never become emotionally involved in this business. They eventually part ways but fate runs them into each other three years later. 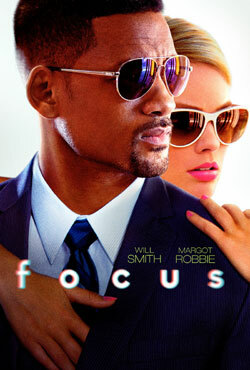 Awards & Nominations Won by "Focus (2015 film) Movie"
Box Office Earning of "Focus (2015 film)"